how do you install upgrades on 1.12 or even just name it? The anvil as noted in numerous comments below this one. Lol, maybe it's time to put that info up in the Overview section, then? Just did, and added a link to my Discord where people can ask questions and get more info. 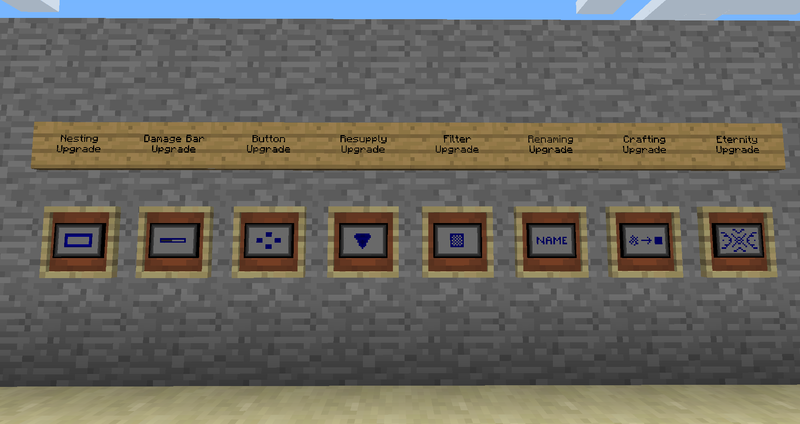 when will more features be implemented into 1.12.2? I want to know that too! 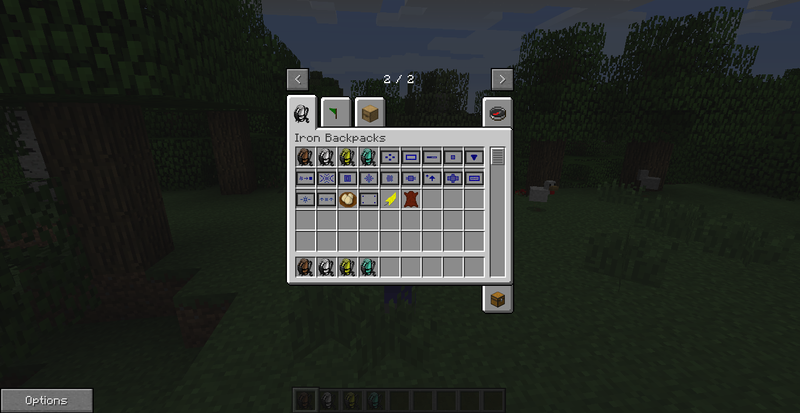 The mod isn't as good as other 1.12.2 backpack mods without the upgrades. Hey there! Can you point me in the direction of said mods, i love this one, but being so long without the extra features being implemented that its just a simple backpack. So far I being using TE backpacks and felt really good. What other options have you tried? Can't promise any concrete dates unfortunately. Believe me, I wish I could. However, I'm a busy human and this project is not my normal, paying job. Come chat with me in my Discord channel (linked at the top of this project's page now) if you really want to know the details, and I'd be happy to let you know more. Sir, you are awesome! Thanks so much! Ill give it a shot, yet ill be waiting like a child for xmas morning for when this mod get fully updated and the extra features available. 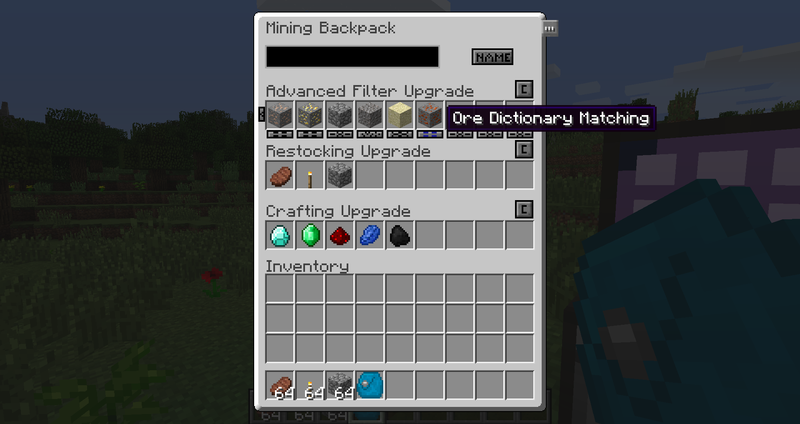 I really love your backpack mod, feels powerful but not OP! How do I add the damage bar upgrade? Are they even implemented yet? 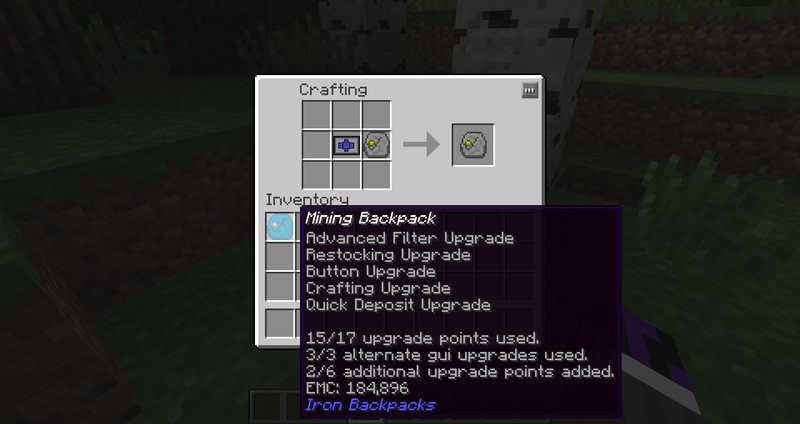 OK, Thanks....now have another problem: the Everlasting Upgrade has no recipe. Is this a bug or the mod not finished yet? Did you read the description above? Don't know how popular CityCraft will become (we have 6 registered members so far and we launch at the end of the month), but thought I'd let you know I've added a link to our FAQ topic about which mods we are currently using. 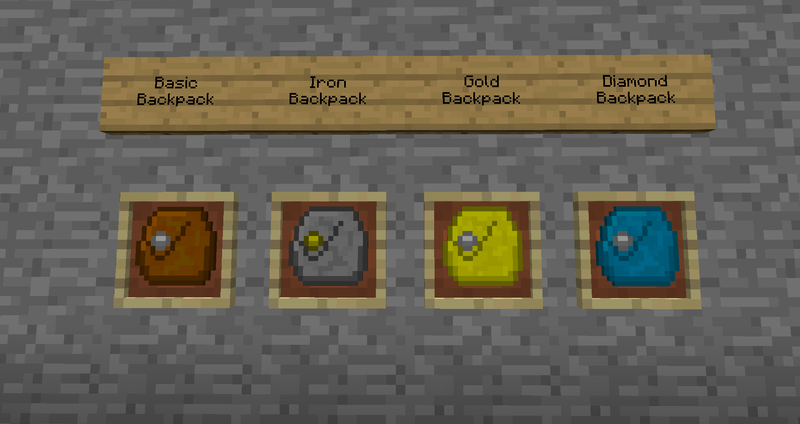 Awesome mod, i just need you to add the wearing part to 1.12.2 so i can wear it, the rest upgrades can have your time to wait. please help us! Love your mod very USEFULL!!! lucinduh: Assuming we are talking about 1.12, that is false. 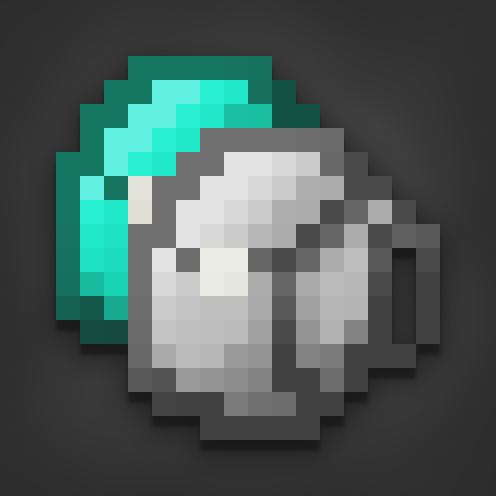 Equipping is not yet implemented in the 1.12 version.